The Hotel de La Cite was first built in 1909, and while it was impressive, it was not met with the fervor that had been hoped for. Four years later, and then again in 1927, the hotel was expanded, more rooms were added, including a ballroom. It was then that the Hotel de La Cite became the go-to spot when traveling to Nice, Biarritz, or Barcelona. If you were a part of high society, the Cite was where you gathered. The hotel had a bumpy and eventful history throughout the 1900s. It closed temporarily during World War II, but after the war was over and disdain grew into high hopes once again, it gradually became the shiny diamond mecca it was meant to be by 1945. By the 1950s, it had surpassed its former glory, which can be seen by the many celebrity signatures of visitors in their Golden Book registry. Ownership of the hotel changed hands many times, and after renovations at the turn of the new millennia, the hotel received its first four-star rating. In 2010, it finally received the gold-star status of five stars and is one of only three such establishments in the region offering such luxury. Christine Pujol purchased the hotel in 2011 and brought it under the umbrella of the Cite Hotel Group. After more than a hundred years, this opened a brand new chapter in the hotel’s history. CHG combines modern comforts with hospitality in all of its properties, creating a homey yet luxurious atmosphere for their patrons. Because of its proximity to the heart of Carcassonne, Hotel de La Cite holds an integral place in the city’s heritage. Now registered as a World Heritage Site with UNESCO, the site offers even more privileges. 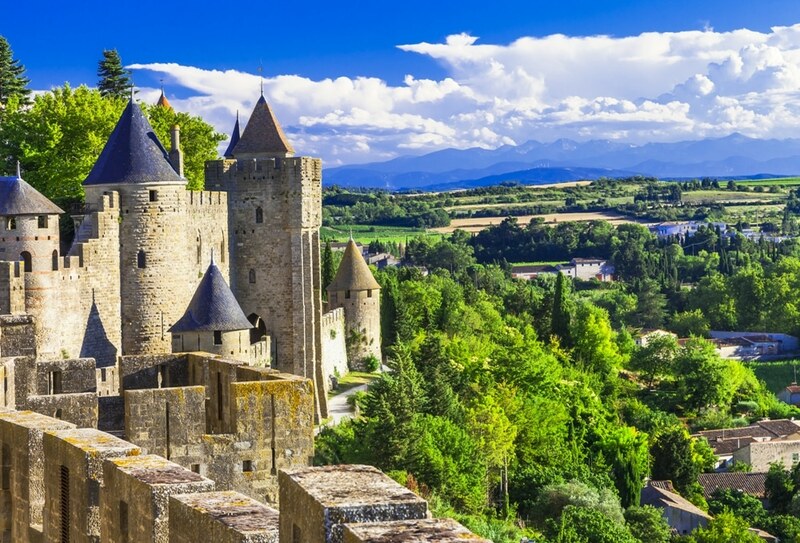 Carcassonne’s beauty is admired from this elevation; you can take in the panoramic views of Aude; along with five-star accommodations and a gourmet chef catering to your desire for luxurious comfort food. The Hotel de La Cite has a distinctive, original personality and strong ties to the region’s history. You’ll find a unique atmosphere, and an experience you won’t find elsewhere.